Lavender is a popular herb with colorful purple flowers and a light soothing scent known for its calming effect. While lavender essential oil is widely used in aromatherapy, drinking lavender tea is another way to enjoy some of this versatile herb’s benefits. Lavender tea has a natural sweetness, making it the herbal tea of choice for many, but this herb also supports overall physical and mental health and has been used by various cultures for hundreds of years to help treat a variety of conditions. Most scientific studies have looked at the health effects of lavender oil, but many of the same benefits can come from teas and liquid extracts. Anxiety. Research indicates that lavender has mood-stabilizing properties, may be able to help treat the symptoms of mild anxiety and could also help decrease the frequency of anxiety incidents. Insomnia. Lavender’s sedative properties have shown to be effective in treating mild insomnia. One study showed a more dramatic improvement in those who used lavender in addition to other lifestyle changes. Aches and pains. The scent of lavender has shown effective in helping pain issues, including joint pains, neck and back pains, and pain associated with menstruation. Depression. Clinical studies have indicated that lavender’s mood-boosting properties may be effective in decreasing symptoms of depression in those who struggle with mild-to-moderate general depression as well as women with postpartum depression. Acne. Lavender’s calming and antiseptic properties also make it a common treatment for acne and other skin issues. Drinking tea and applying cooled tea to the skin may help decrease redness and breakouts. Scientists and medical researchers continue to study the effects and possible future uses of the herb, including as a possible complementary treatment for cancer. Does Lavender Tea Have Any Side Effects? 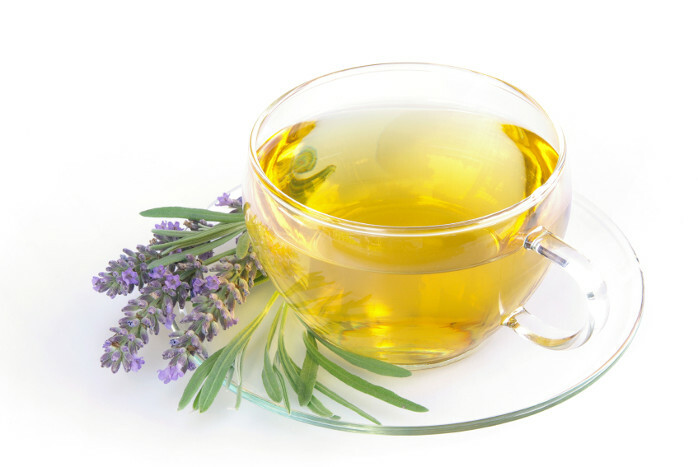 When consumed in large quantities, lavender can increase the risk of constipation, appetite changes and headaches, but most people can consume normal amounts of lavender tea without issue. Lavender oil should not be used topically in prepubescent boys, but it’s not clear if the tea form is strong enough to cause adverse effects. Care should also be taken when ingesting lavender during pregnancy, as some research suggests that it may induce menstruation. Lavender’s sedative properties can also mean that it may interact with certain medications — such as sleep aids — and anesthesia. It’s best to avoid any form of lavender for at least two weeks before a scheduled surgery and inform your health care provider about any other herbs or medicines you are taking or have taken in the recent past. If you’re wondering where to buy lavender tea, it is widely available at most grocery stores, but it is also one of the easier teas to make yourself. The lavender plant thrives in indoor pots with moderate watering and plenty of sun. As the plant blooms, pick the buds and flowers and let air dry in a place where they won’t be contaminated. Once the flowers are dried, a standard recipe is 1.5 tablespoons of dried flowers for every 2 cups of boiling water. If you want to use fresh leaves, it’s 3 tablespoons to every 2 cups of water. Let steep for 5 minutes or so, sweeten to taste, and enjoy. Brewing a great cup of tea comes down to two factors: water temperature and time spent steeping. The convenience of being able to microwave a cup of water for a minute and add a tea bag has made drinking herbal teas more accessible for the average consumer, but the best tea takes a bit more effort. The proper water temperature and time depends on the specific type of tea. Lavender tea, like most herbal varieties, needs a water temperature of approximately 208 degrees and a steeping time of 5 to 6 minutes. Other tips include always using cold water fresh from the tap because it is higher in oxygen and removing the leaves or tea bags as soon as the steeping time is up.